Gatorade was developed to improve the performance and endurance of athletes. (Resource 1) It effectively accomplishes the job by replacing fluids, carbohydrates and electrolytes such as sodium and potassium. 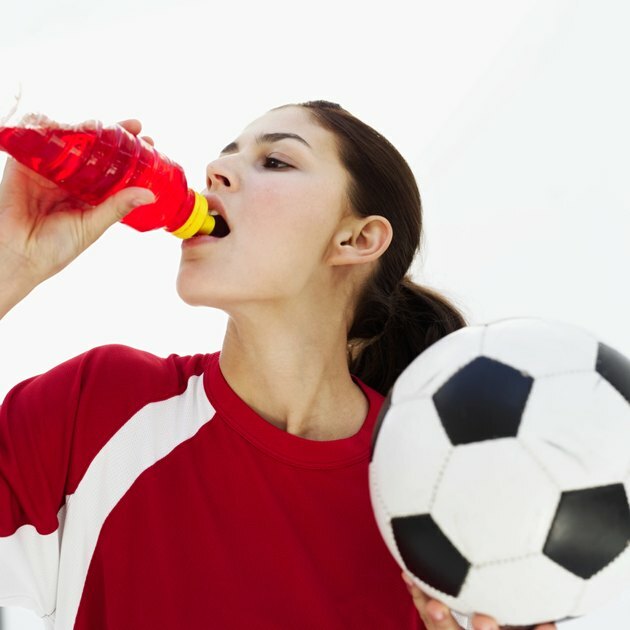 However, if you don't need the extra boost of sugar and minerals, drinking Gatorade may add more calories and sodium to your diet than you need, which could put your health at risk. The number of calories and sugar you'll consume varies depending on which Gatorade product you choose. Low-calorie G2 Thirst Quencher has 7 grams of sugar and 30 calories in a 12-ounce serving. (Ref 8) The regular G-Series Thirst Quencher contains 21 grams of sugar and 80 calories in the same portion. (Ref 7) If you drink the G Series Sports Fuel Drink, you'll get more than three times the sugar and calories as a regular Thirst Quencher. (Ref 9 - values are for 118 ml, which is only 4 ounces) If your activity level does not justify the need for extra sugar, or if you don't limit the amount you consume, the added sugar and empty calories may contribute to weight gain. About 91 percent of all adults in the United States consume more than 2,300 milligrams of sodium in their daily diet, reports the "American Journal of Clinical Nutrition." (Ref 3, para 4) By comparison, the Institute of Medicine recommends getting just 1,500 milligrams of sodium daily. (Ref 2, pg 1) Chances are you do not need extra sodium unless you're losing more body fluids than normal. Gatorade Thirst Quencher has 160 milligrams of sodium in a 12-ounce serving, while the Sports Fuel Drink has three times that amount. (Refs 7 and 9) If Gatorade is your go-to drink any time you're thirsty, the extra sodium may increase your risk for high blood pressure, also known as hypertension.